Water conservation is paramount to the successful management of water utilisation. Water storage and pumping efficiencies are the integral parts of this system. Utilising tank storage will increase your clean water supply for farm usage. This type of storage eliminates evaporation and seepage ensuring the only water used is at the drinking point. 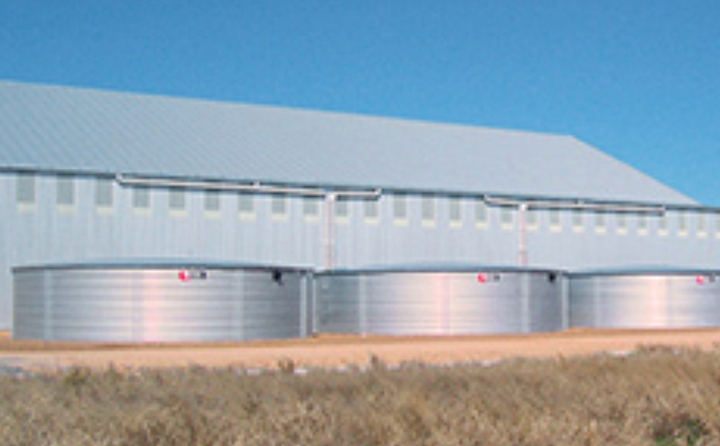 Conservation of your valuable water resource starts with the most effective water storage system. Solar pumps are the most efficient and cost effective way to move water. No re-fuelling or ongoing fuel costs and minimal maintenance. The initial cost of the solar unit and installation will pay for itself within two years calculated against fuel costs and maintenance time of diesel driven units. Maximum pumping efficiency ensures you get the right amount of water required at the end point. Every situation is different, with varying requirements depending upon water availability, topography and water requirements. A purpose built system that is specifically designed for you and your needs is absolutely necessary to ensure maximum water efficiency and retention of valuable water resources. Andrew Bambrick at Rural Pumping Solutions has spent upwards of 25 years designing purpose built systems for the agricultural sector. He specialises in ensuring that your valuable water resources are stored and moved in the most effective and efficient manner. Your individual requirements will always be met as Andrew will come out to your property to assess and discuss your requirements, view the property and design a system that suits your needs best. In ensuring you get a purpose built system, specifically built for your individual requirements you will fulfill all your water needs with minimal maintenance and ongoing costs associated with the units. There are great savings to be made in making sure that you get an individually tailored pumping and water storage system in both your water reserves, time and also in your back pocket. Article kindly provided by Rural Pumping Solutions.